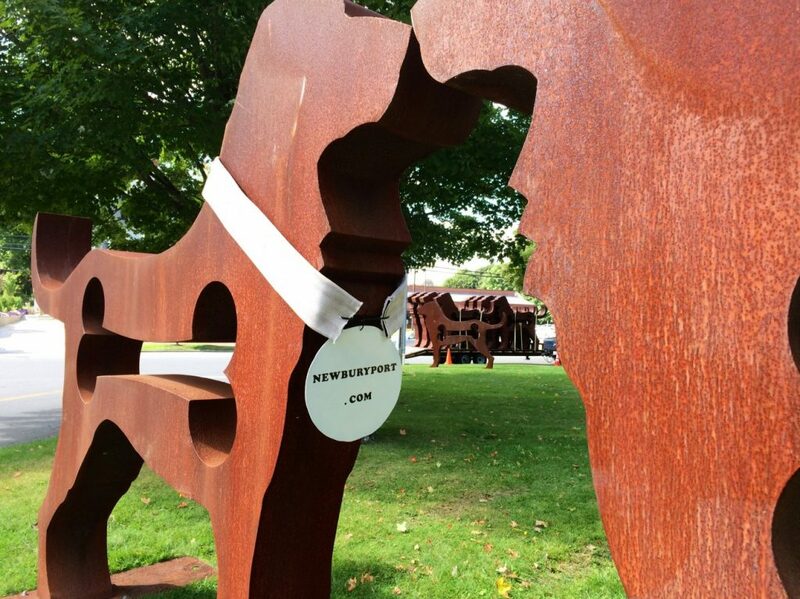 The BIG Dogs are in town. 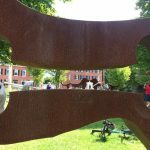 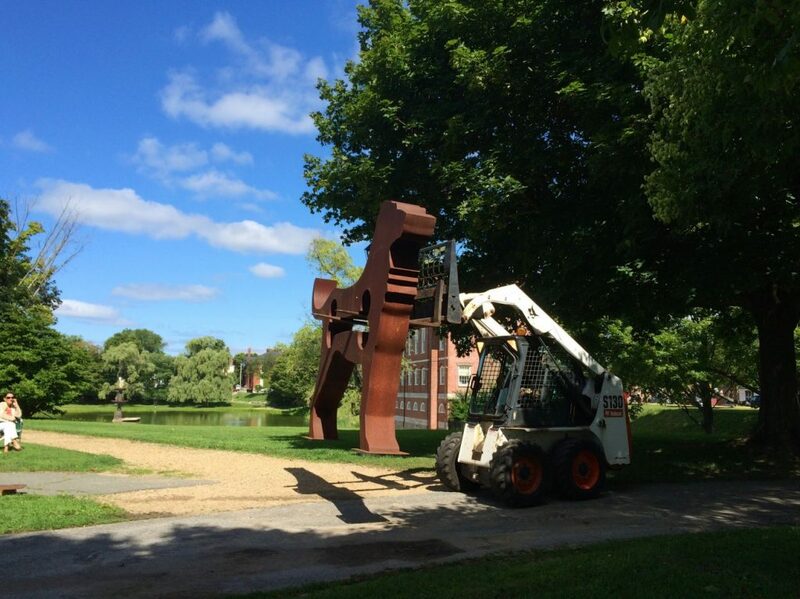 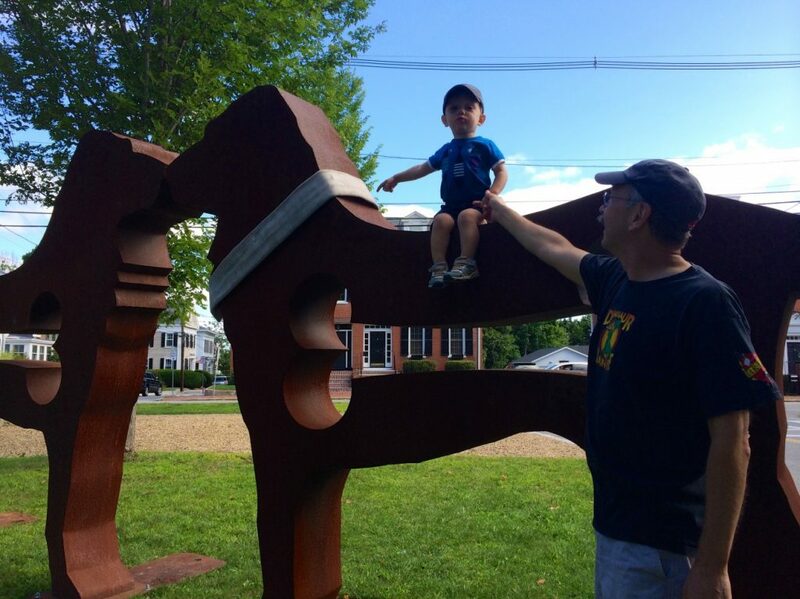 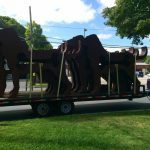 In honor of Newburyport’s 250th Anniversary Celebration, renowned artist Dale Rogers has positioned his impressive and LARGE metal sculptures throughout Bartlet Mall. 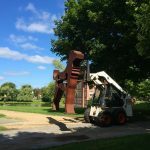 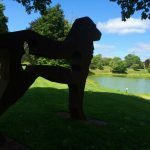 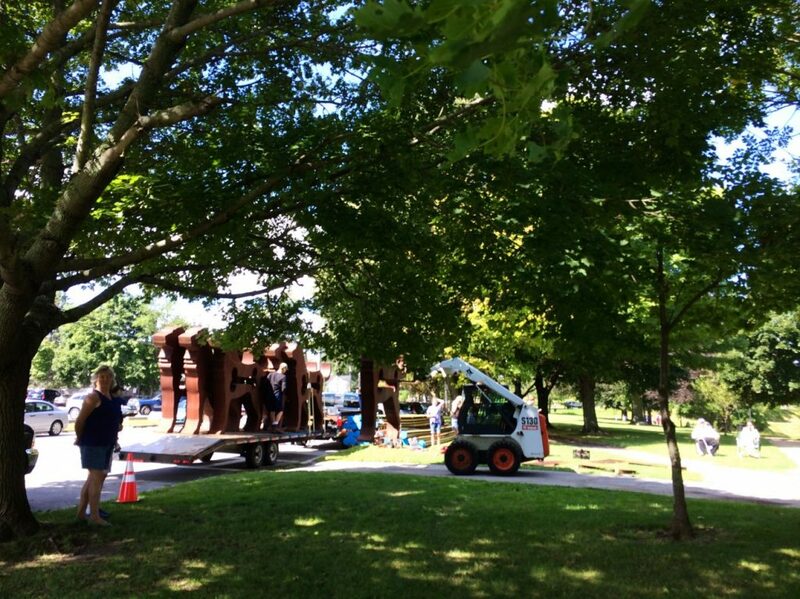 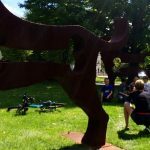 The unveiling took place on Thursday, August 14, but the sculptures will be on display until August 24th surrounding the Frog Pond. 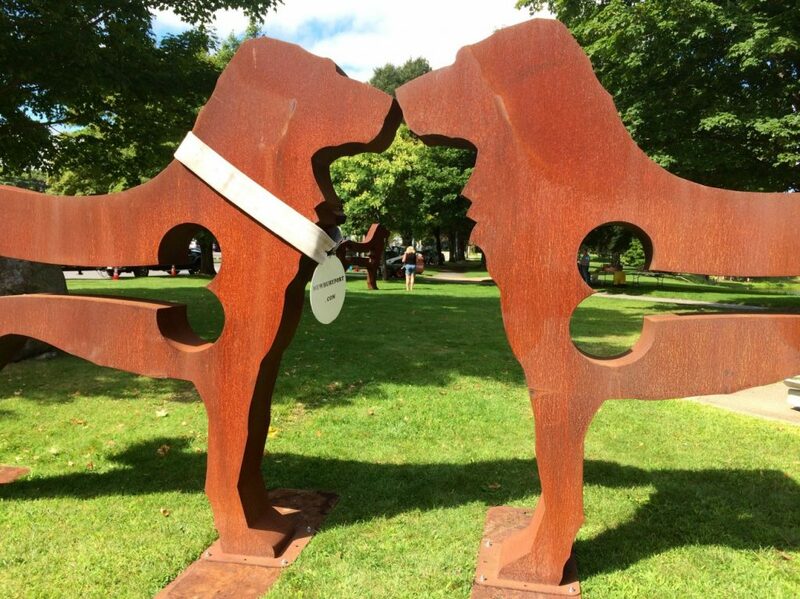 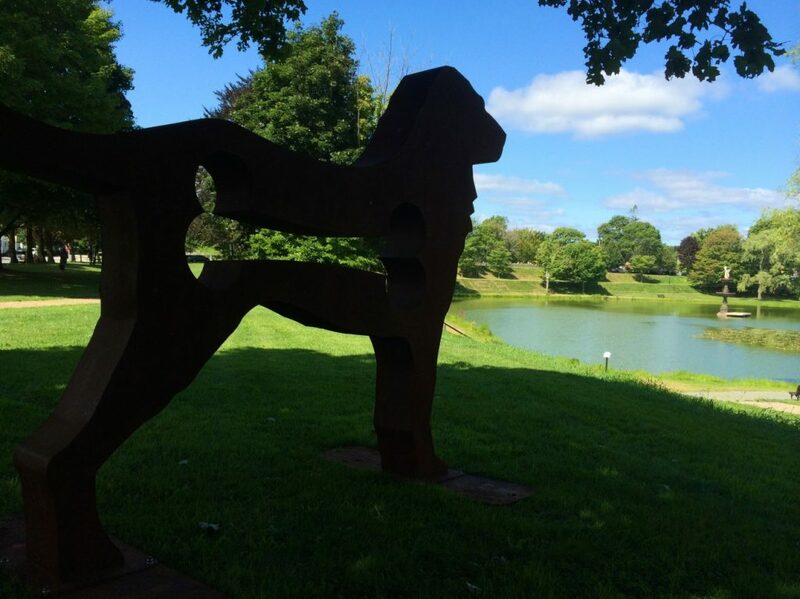 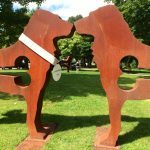 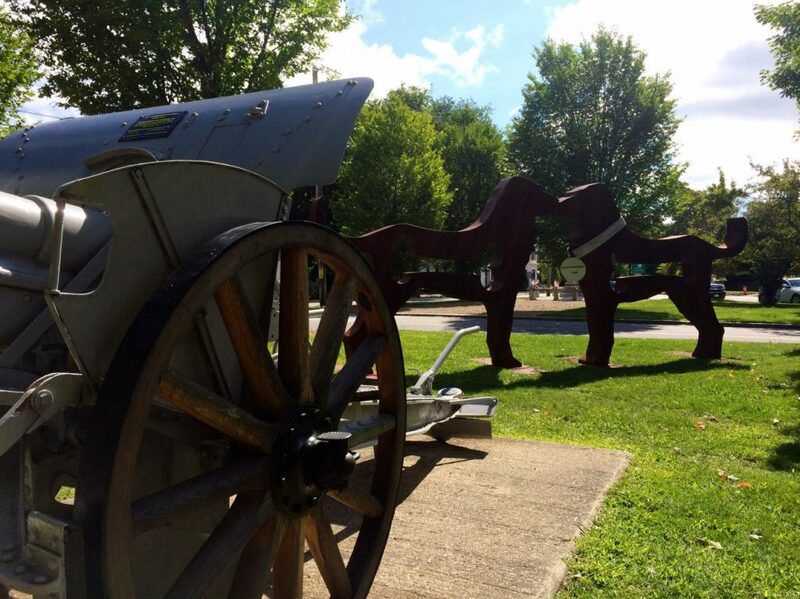 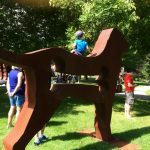 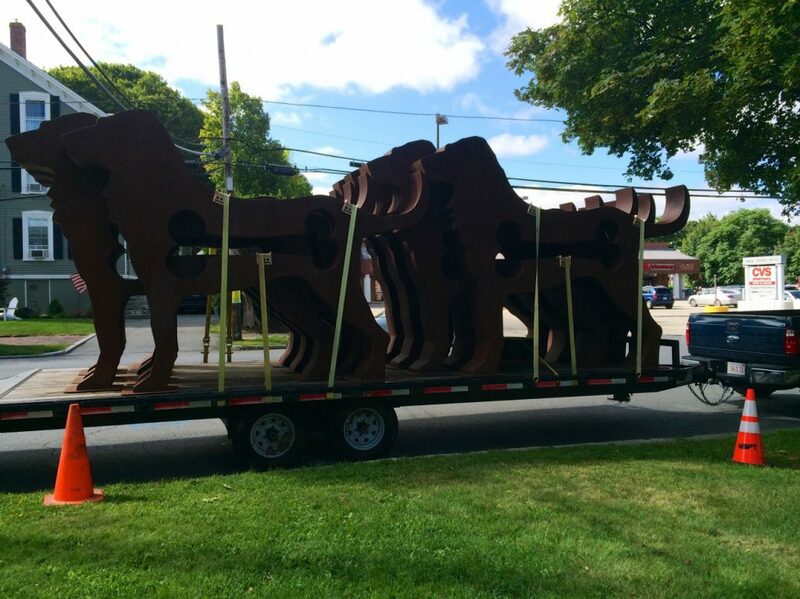 In total 20 steels dogs, each weighing 200 pounds, were hosted and arranged just so as part of the massive exhibit, which helps to honor Bartlett Mall, the oldest park in Newburyport! 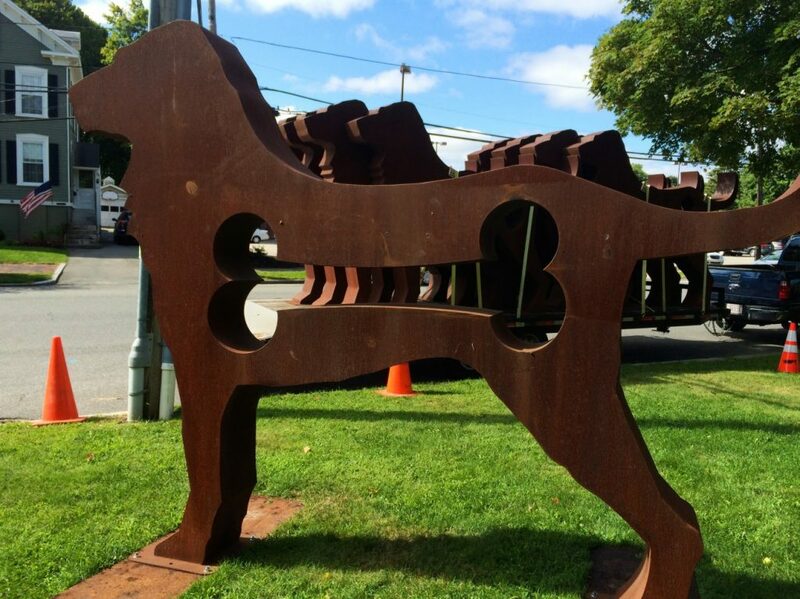 Rogers, who has since taken his art around the country, grew up in Haverhill and Plum Island, MA. 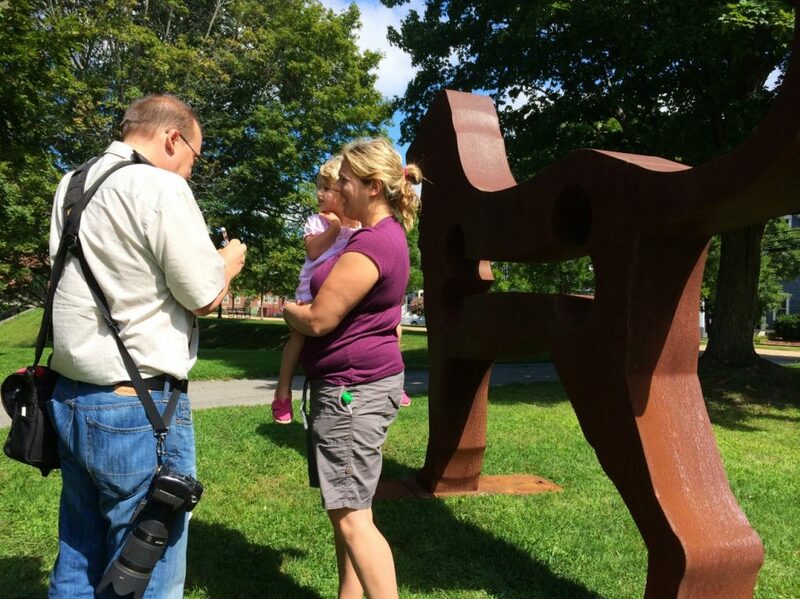 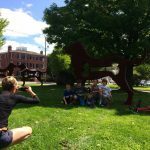 You may also recognize his sculptures positioned on the city’s rail trail and the Newburyport waterfront. 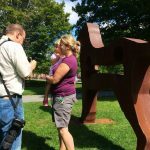 “Over the years, I have incorporated iconic and whimsical shapes into my sculptures that allow viewers to connect with my art on an emotional level. 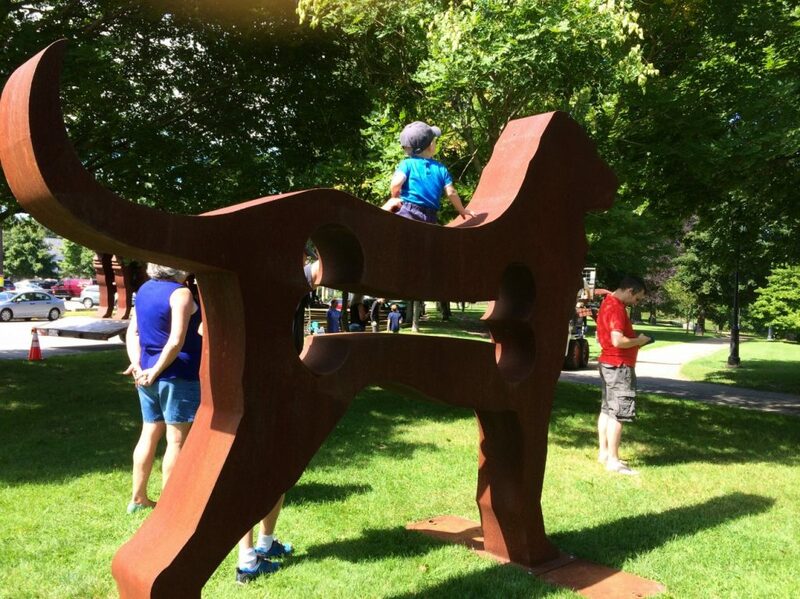 My public exhibits feature sculptures that do just this, said Rogers. 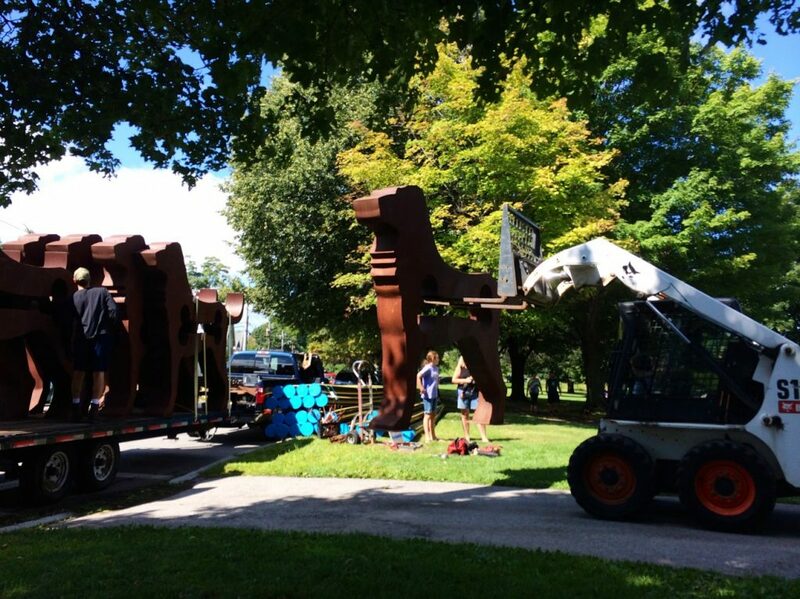 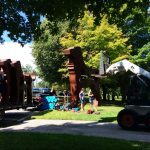 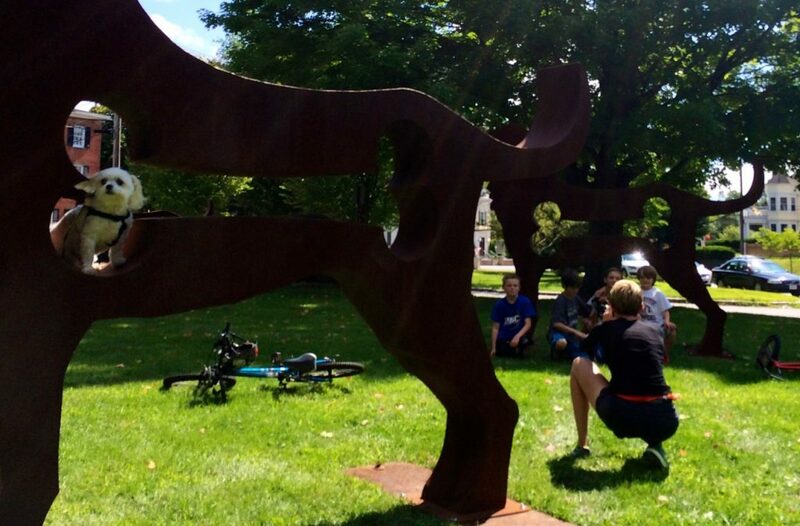 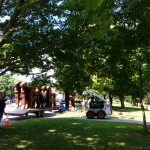 Organized by the five citizen volunteers of the Bartlet Mall Commission, money was raised to safely transport and install the giant sculptures. 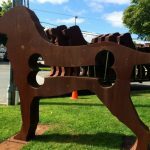 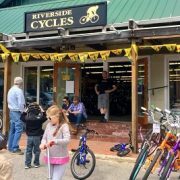 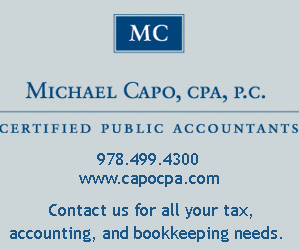 Area business owners were then given an opportunity to sponsor a dog. 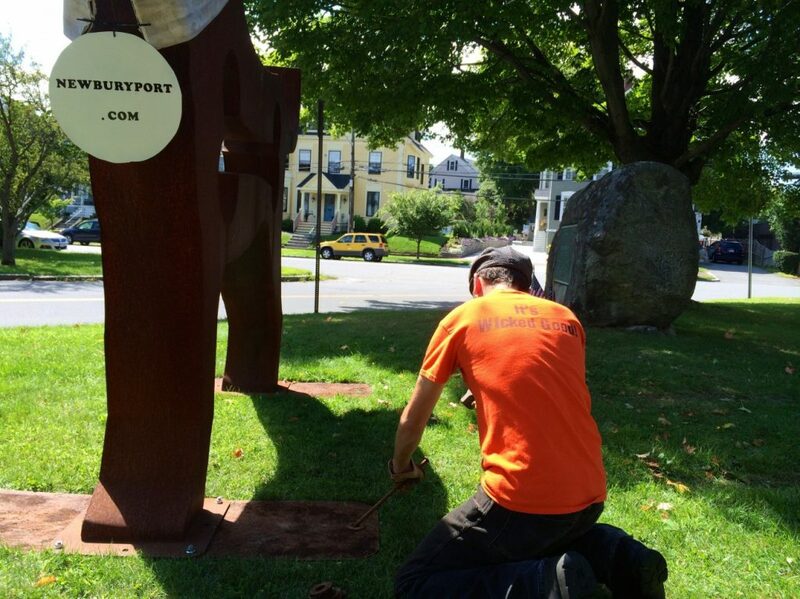 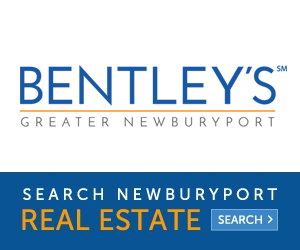 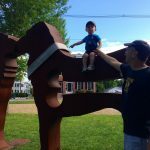 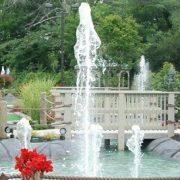 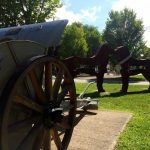 This money funded the 10-day show, with further donations going towards the city of Newburyport’s beautification project, which includes landscaping, maintenance and bench restoration at Bartlet Mall. 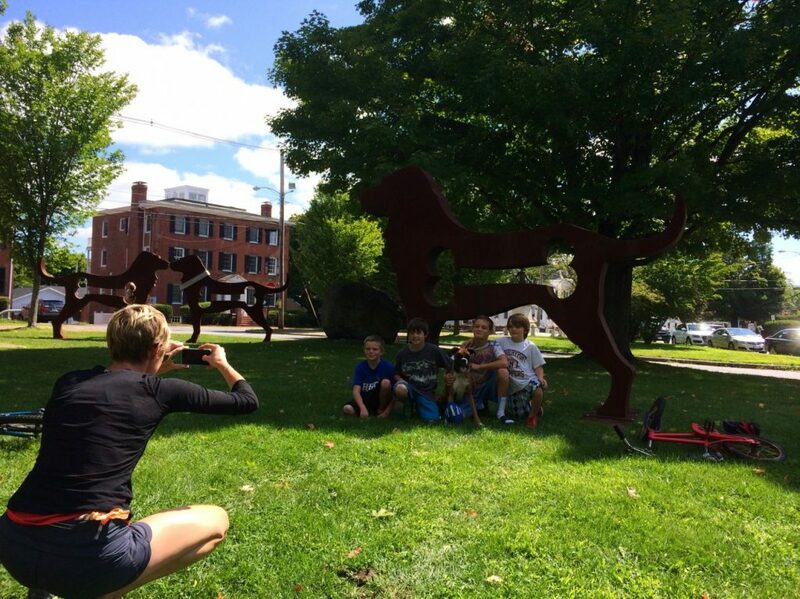 Founded in 1645, the Bartlet Mall is a historic park in the city of Newburyport, now known as a place for festivals, youth sports, sledding and of course, dog walking. 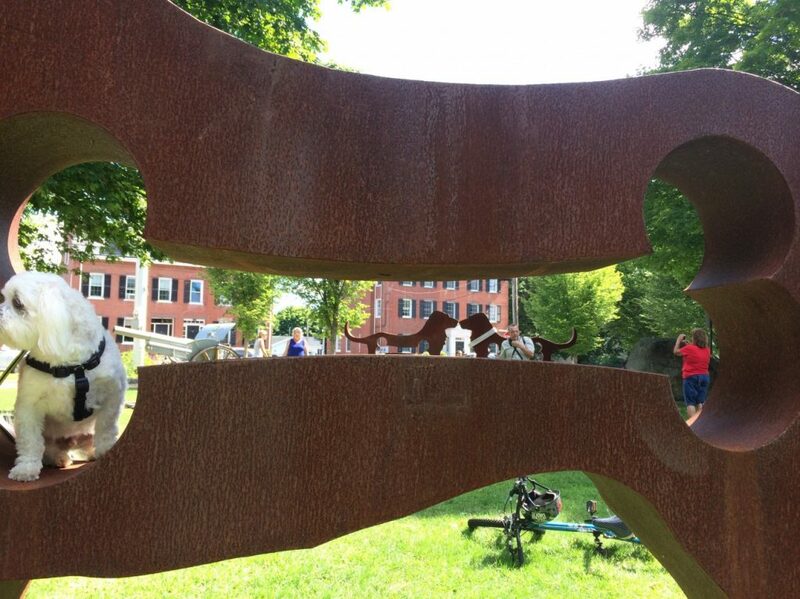 #Chex the Puppy Dalmatian had a blast meeting and greeting all of his friends. 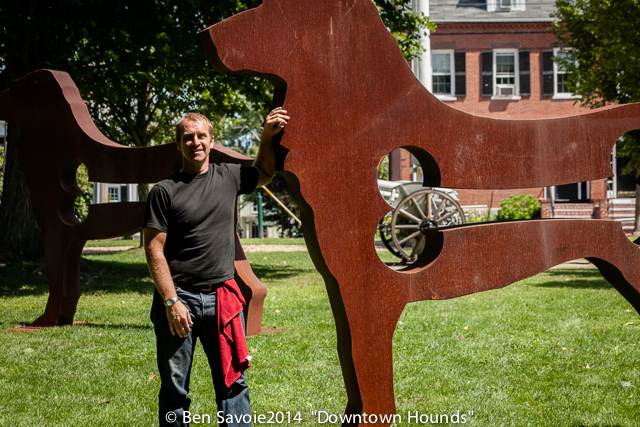 Professional photos courtesy of Newburyport ‘Downtown Hound’ photographer Ben Savoie will be posted soon! 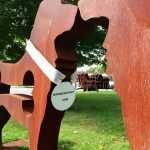 For more information on how you can donate to the cause, please connect with Walt Thompson, Chair of the Bartlet Mall Commission at http://bartletmallbigdogshow.causevox.com/.